Every week Advertising Age, in conjunction with company Visible Measures, publishes a list of the top performing videos. 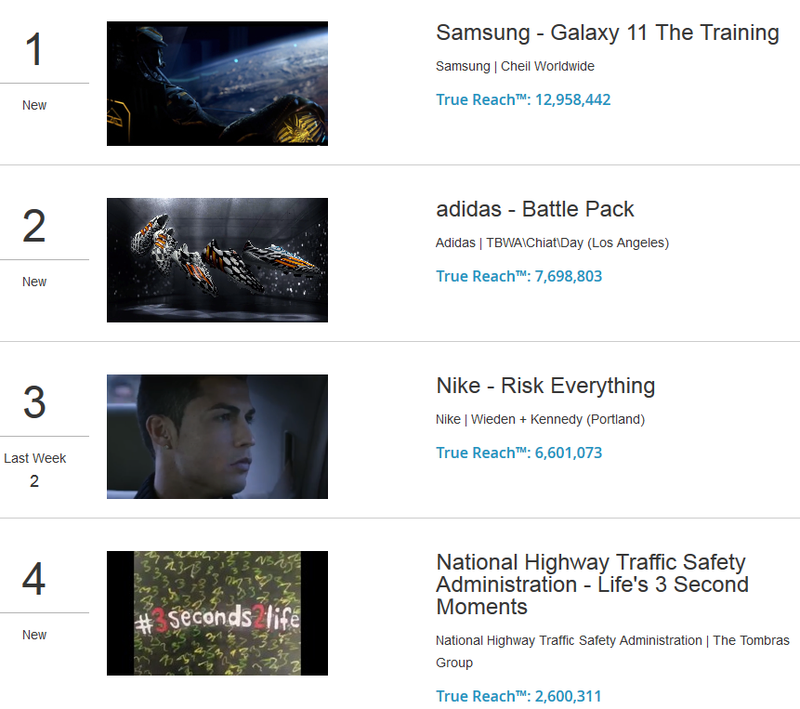 The weekly chart highlights viral video ads that appear on online video sites. Each ad measures viewership of brand-syndicated video clips as well as social video placements that are driven by viewers around the world. True Reach™ quantifies the total audience that has been exposed to a viral video campaign.